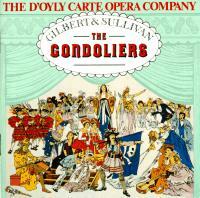 This recording continued the welcome trend started with the 1960 Pinafore and Iolanthe of including all the dialogue. 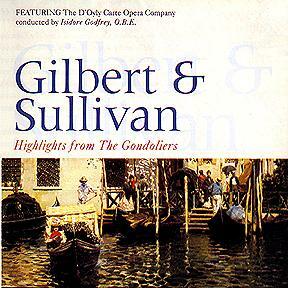 It is the strongest recording of the opera in stereo and, like the legendary 1927 recording, belongs in every listener's collection. 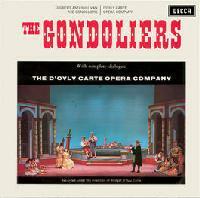 At the time this recording was made, technology did not permit The Gondoliers with complete dialogue to fit on the usual four record sides. 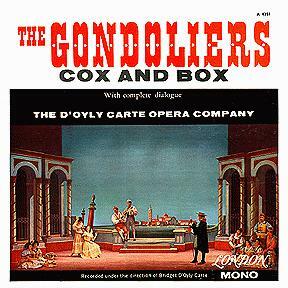 Consequently, the opera was issued on five sides, with the sixth given over to D'Oyly Carte's first-ever recording of Cox & Box. It was issued simultaneously on stereo on mono LPs and has been re-issued on CD and cassette (but not with Cox & Box, which had its CD re-issue with Ruddigore). LKA 4402/4 With 1961 Cox & Box The Decca catalog numbers containing 'A' are Australian pressings. 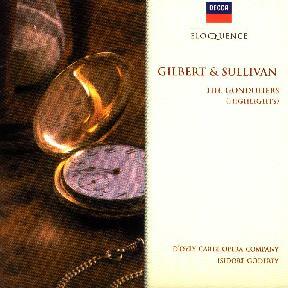 Decca Eloquence CD 450 009-2 Highlights. The Decca Eloquence label is a later NZ/Australia packaging under the same catalogue number.